Potato cakes are a fantastically filling starter, but it’s easy for them to feel bland – they are essentially just mashed potato, after all. The addition of mushrooms and cream really helps this dish go down a treat. I grill these because I find it helps the breadcrumb coating stay on better, but frying would work too. 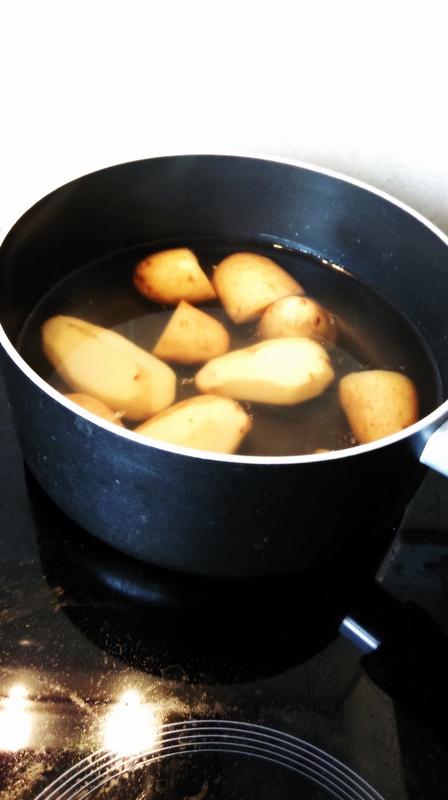 Put the potatoes on to boil in well salted water. 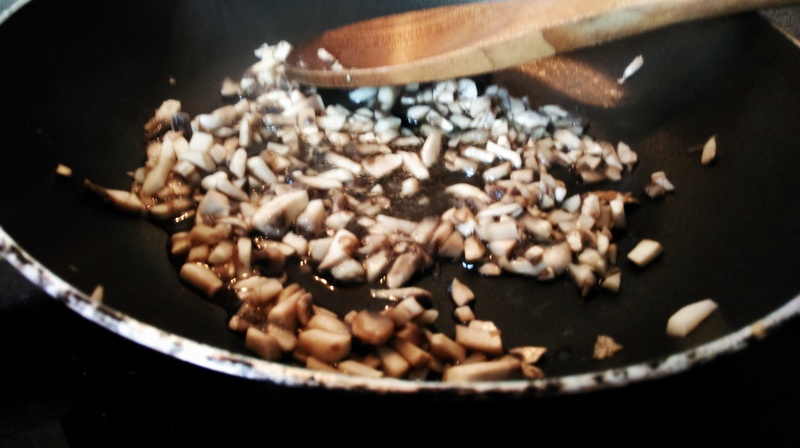 Finely chop the mushrooms and crush the garlic, then fry on a medium heat with a little salt. 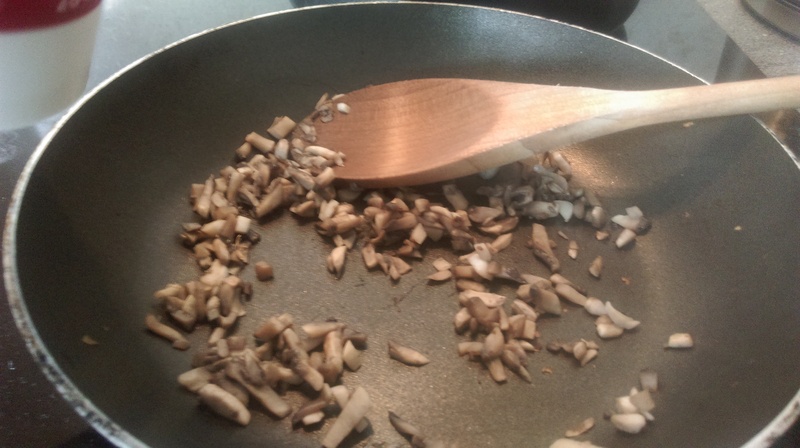 The moisture will leave the mushrooms and fill the pan. Continue cooking until this has evaporated. Pour in the cream and lower the heat. 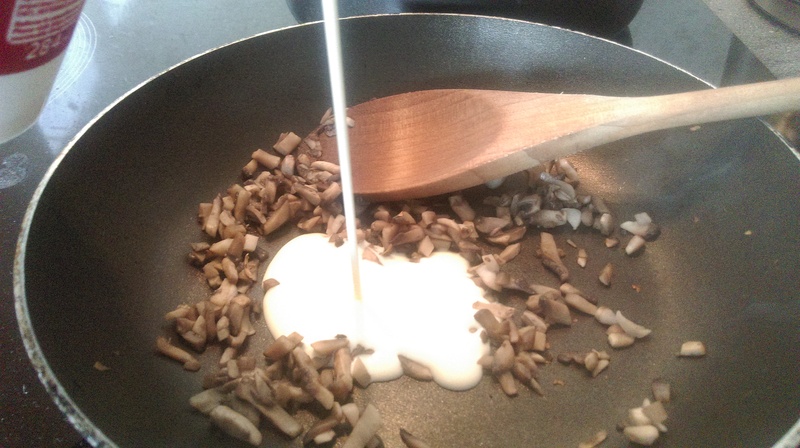 Cook, whilst stirring, until the mixture has reduced and thickened. Season to taste. 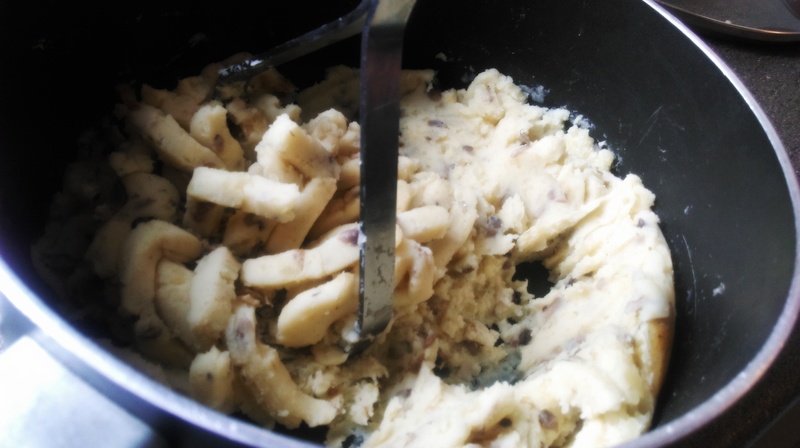 When the potatoes are soft, mash them until very smooth. 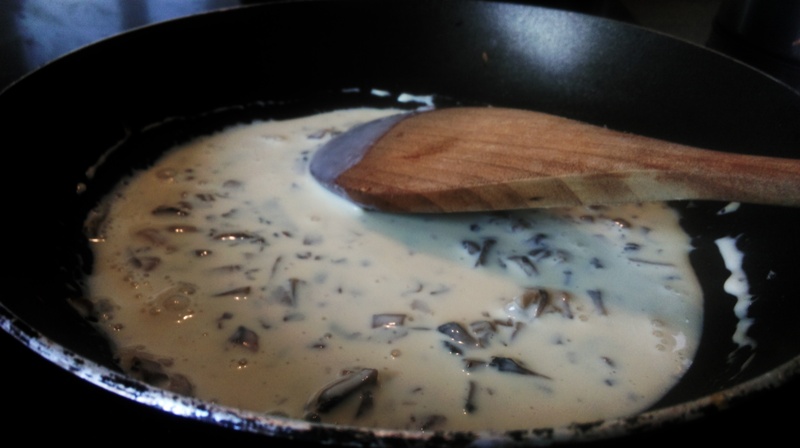 Add the mushroom cream and mash more, until the mixture is velvety and the mushroom taste strong. It helps to season again at this stage. 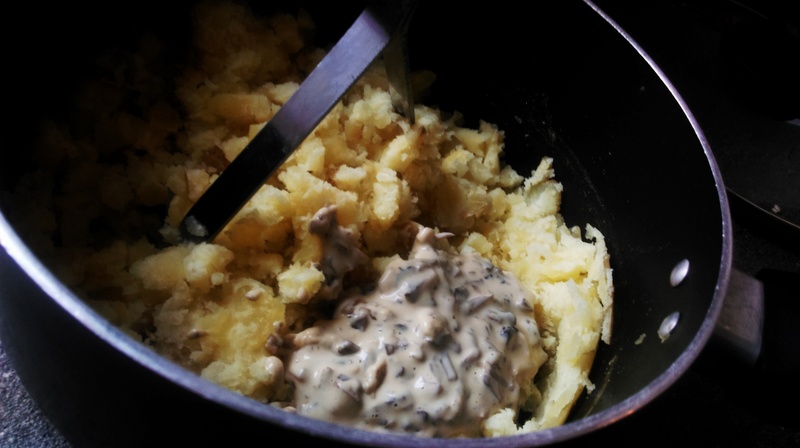 Use your hands to form the potato mixture into discs. 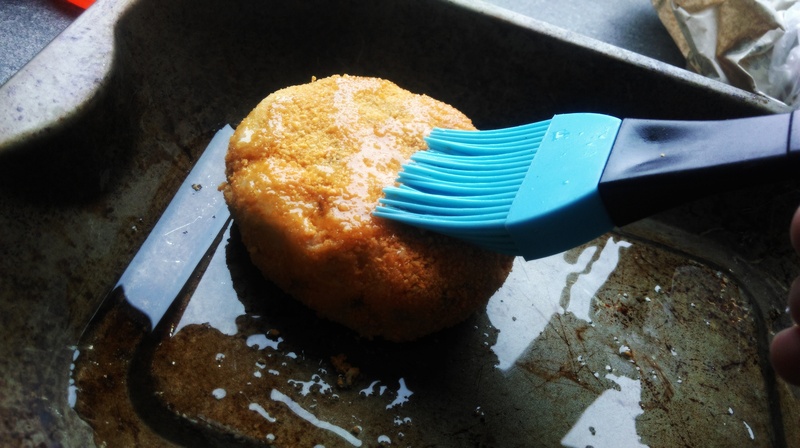 Create a breading station of an egg-wash and the breadcrumbs. Simply coat the cake in egg then in the crumbs. 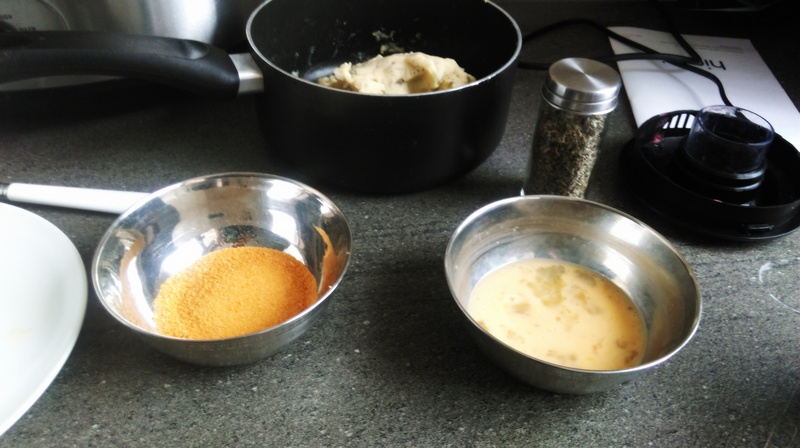 Use a pastry brush to add a small amount of oil to the outside of the cakes, then grill at a medium heat until the coating is golden brown and crunchy. One per person usually works well for these if they’re a starter, but by all means take two for yourself. 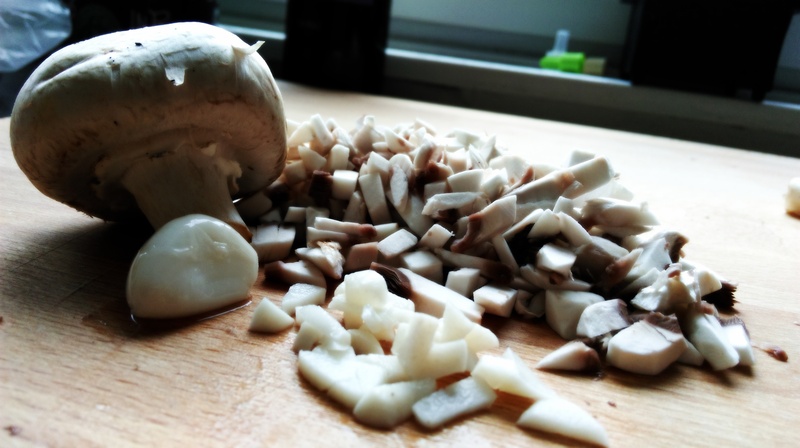 Drizzle over a little moisture – something fairly neutral like mayo is best to not distract from the mushroom taste. And don’t you dare forget the side salad. 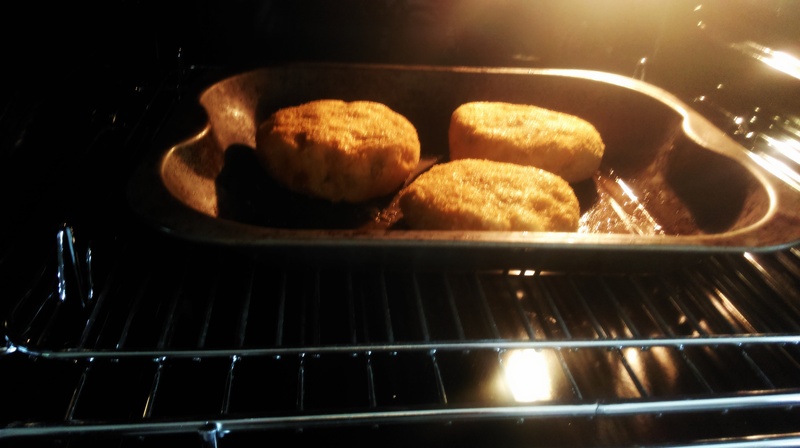 As for storage – by all means freeze then give a little reheat in the oven, but mind that the coating will lose some of its crispness. Not suitable for refrigerating or microwave. Got any suggestions of how to alter this recipe? Do comment and let us know! 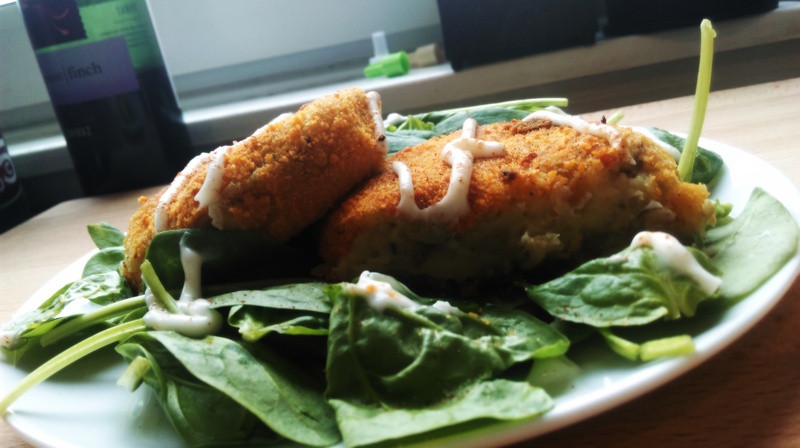 Posted in Guesscipes, Starters, VegetarianTagged breadcrumbs, cream, guesscipe, mushroom, potato cake, recipe, starter, VegetarianBookmark the permalink.